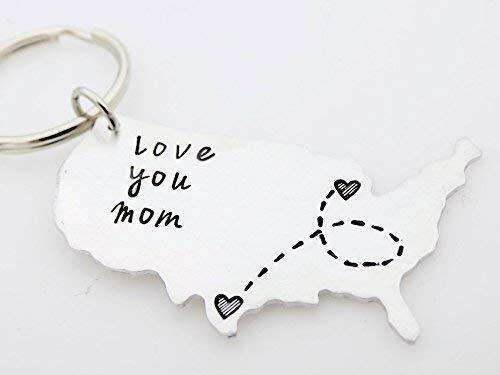 This keychain makes a great gift for long distance families. Can be customized to read something different, if you choose to change the message please leave that info in the "notes to seller" section during checkout. If you have any questions about this product by TheLightandTheDark, contact us by completing and submitting the form below. If you are looking for a specif part number, please include it with your message.